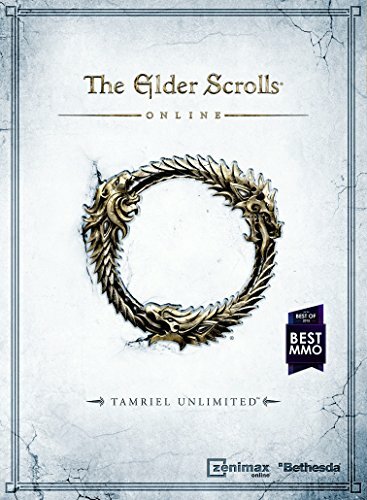 Get Skyrim Legendary Edition or Tamriel Unlimited cheaply from Amazon. You too can earn money from writing articles by signing up for InfoBarrel. Some content copyright Bethesda Softworks and Antioch as applicable. The primary reward is, of course, that you are now a Lich. Being a Lich can cause problems when you are out in public; fortunately, you can disguise your appearance by changing to and from a Lich. Don't transform into a Lich or appear as one in a public place; people for some reason get rather upset by a powerful undead appearing in their midst and everyone in sight will attack you. Accidentally transforming is therefore not recommended. Transforming between Lich and mortal form is done using the shout/power button, assuming you don't have one selected, therefore it's a good idea to check that you do have a shout activated before using one; accidentally changing into a Lich when fighting a Dragon with allies can be unfortunate. Whilst a Lich, you cannot use the Character Menu or Sneak, and you only have a third person view. As you are floating, this can make it difficult fitting through some entrances as a Lich, although you can fly across water. Worn items are removed, which can reduce your available magicka, and you can only use certain spells, which you might not actually have enough magicka for. Some benefits are available outside of Lich form too. Once a day, you can regenerate your physical form using the souls of your enemies, should your health fall below 10%. If you are destroyed, your form will regenerate at your Phylactery, in your Ritual Chamber, in whichever location it was created, Solitude Sewers or Ravenscorn Spire. One of the permanent benefits of being a Lich, even when not in Lich-form, is that you are now dead. This gives you 25% Resistance to Frost, 100% Resistance to Poison, 100% Resistance to Disease and Waterbreathing (as Liches don't breath, surviving underwater is easier, but this doesn't apply in Lich form as the Lich flies). On transforming into Lich-form, there are a number of spells that can be cast, and there are also a number of new spells that can be found. In Lich-form, spells can be cast with both the right and left hand. Only one spell can be cast with the right hand, Death Grip, which grabs opponents and can drain life from them, before hurling them across the room, similar to a vampire lord power. A spell can be chosen by using the Sneak button. After a short animation, the menu will open and you can choose one of the following spells for use with the left hand. Many of these require a lot of magicka to cast, and changing into a Lich can result in you no longer having enough. Blizzard - A cold spell that can also paralyze opponents. Frost Armor - Cloaks the caster in cold armour that reduces cold damage. Incinerate - A bolt of fire that can also stagger opponents and cause them to flee in fear. Ice Storm - An area effect cold spell that can also slow and paralyse opponents. Lightning Storm - An electrical spell that can also disintegrate opponents. Mass Reanimate - An area effect spell that reanimates 50 points (Dead Thrall does 40). Necromantic Healing - Heals the character in Lich-form. As well as the Lich spells, there are a number of other new spells added to the game. Most can be found randomly, but the spell tome for Mass Reanimate is found in the White Stone Sarcophagus in the lair of the Ancient Lich in Scourg Barrow, the one for Decay is found in a compartment in Scourg Barrow with one of the Jewelled Skull Idols and the one for Construct Skeleton in Solitude Sewers. Blight - A bolt of poison that inflicts damage to the target's Health for the duration. Command Undead - Caster can command undead, putting them under the caster's control. Construct Skeleton - Caster can construct skeletons using three bowls of Bone Meal. Decay - A bolt of poison that inflicts damage to the target's Health and Stamina for the duration. Enervate - A bolt of poison that inflicts damage to the target's Health and Stamina for the duration and can slow them. Mass Reanimate - A dual-handed area effect that reanimates 75 points (Dead Thrall does 40), causing dead bodies in the area to fight for the caster. Poison Cloak - Poisonous armour that damages melee attackers. Three books, Corpse Preparation, Volumes One, Two and Three, have been imported from Morrowind. Once all three books have been read, a new perk, Efficiency will be added. This perk means that reanimated undead will no longer disintegrate when killed. Credit: Antioch/Bethesda Softworks/eGDC LtdVolume One can be found in Fort Snowhawk, Ilinalta's Deluge and Solitude Sewers; Volume Two can be found in Ilinalta's Deep and Volume Three in Scourg Barrow. Volumes One and Three can be encountered whilst doing the quest series; Volume Two will require a trip to Ilinalta's Deep, and can be found on the table in the first chamber to have a Necromancer. Blood Pact can be gained by using the Ritual Bowl in either Solitude Sewers or Ravenscorn Spire. When the bowl is activated, there is a cut scene where the player cuts their palm. After this, all diseases are cured, and the character gains Blood Pact, which allows up to 5 reanimated undead to be controlled at once. Three chambers in Solitude Sewers can be outfitted as a lair, including the creation of a Ritual Chamber for The Path of Transcendence. The entirety of Ravenscorn Spire, which is visited during In Their Footsteps, can be outfitted as a lair, including the Laboratory, which includes a circle for the ritual in The Path of Transcendence. There are three altars, one by Ravenscorn Spire, one in a ring of stones occupied by a levelled Necromancer roughly to the southeast of The Broker's Shack and one in Brittleshin Pass, that, once The Path of Transcendence is complete, will transform soul gems into Black Soul Gems. The Altars do not work on every night of the year, only functioning under the Necromancer's Moon. When they do work, activate them and you will be prompted to place a Greater or Grand Soul Gem into the receptacle. After agreeing, the placed soul gem will be struck by a bolt of energy and transformed into a Black Soul Gem.